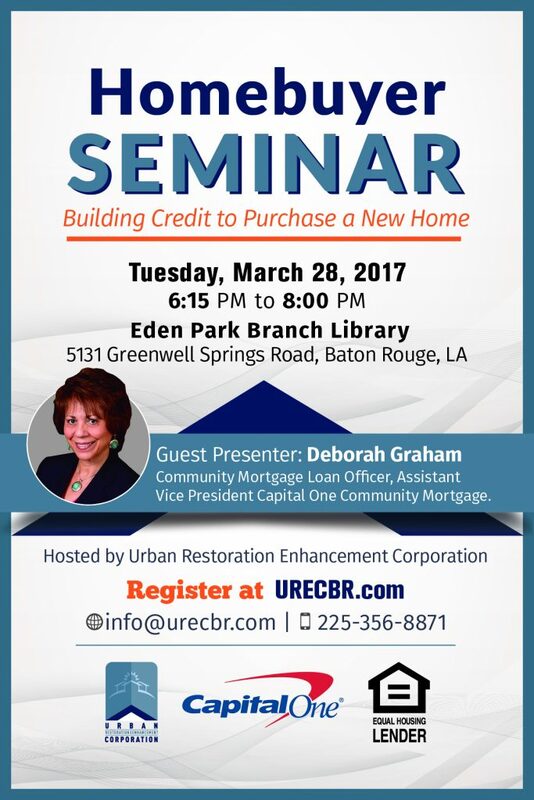 Urban Restoration Enhancement Corporation in partnership with Capital One will host a Homebuyer Seminar on Tuesday, March 28, 2017 at Eden Park Branch Library, 5131 Greenwell Springs Road, Baton Rouge, LA from 6:15-8:00PM. During the seminar, attendees will learn how to build credit to purchase a new home. Deborah Graham, Community Mortgage Loan Officer and Assistant Vice President for Capital one Community Mortgage will serve as the guest presenter. There is no cost to attend the seminar. First time and prospective homebuyers are encouraged to register online below or here. 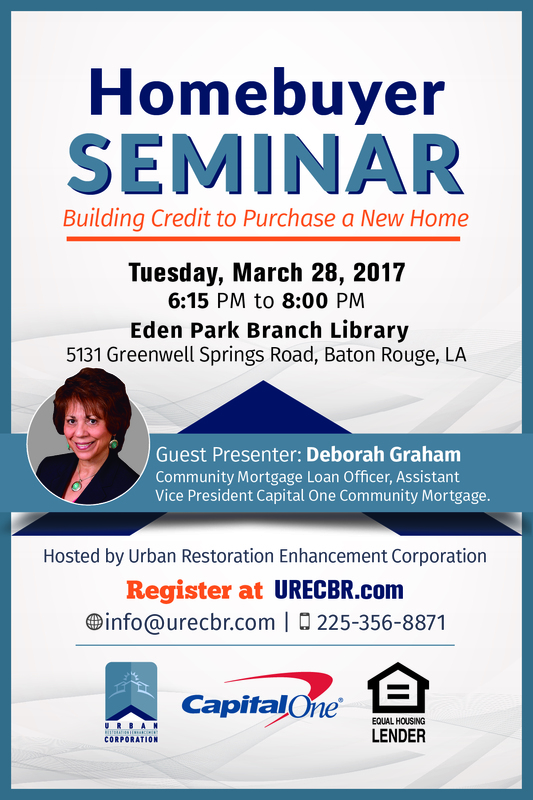 For more information, contact us at (225) 356-8871 or info@urecbr.com.